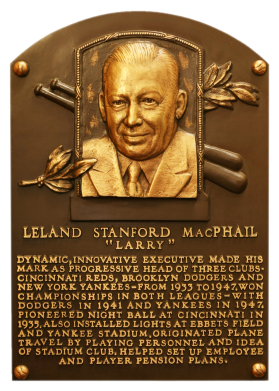 As an executive with the Reds, the Dodgers, and the Yankees, Larry MacPhail played a part in virtually every baseball development between the wars. He brought air travel and lights to the major leagues in 1935, and radio broadcasts to Brooklyn in 1938. 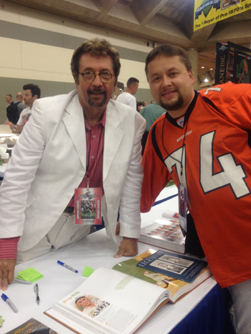 He was inducted in 1978. MacPhail's son and grandson, Lee and Andy, followed him as baseball executives. 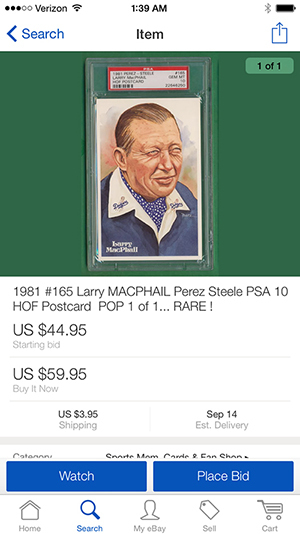 Comments: I purchased my first Perez-Steele Larry MacPhail postcard on eBay in December, 2004 (along with a Rube Foster, Bill Foster, Frank Selee, Bill Veeck, Lee MacPhail, Tom Yawkey, and William Hulbert) from seller Ron Copeland (Copeland Online Collectibles). The card was submitted to PSA and graded NM 7 in October, 2005. In April, 2009 I purchased two more raw examples on eBay from seller Chock Full of Cards (gretch2662). I submitted them to PSA and they graded NM-MT 8 and MINT 9 in February, 2010. I'm still looking for a GEM MT example - help? It was a 1 of 1 at the grade. 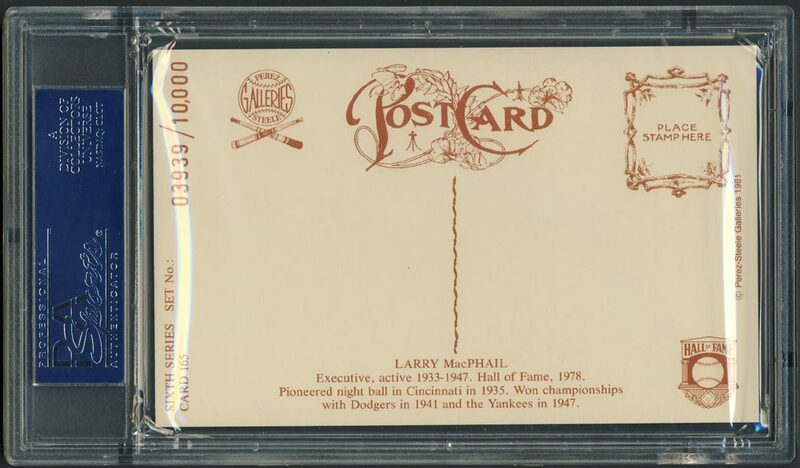 But, I thought the price was too high considering I purchased some other 10s in the set for $25. 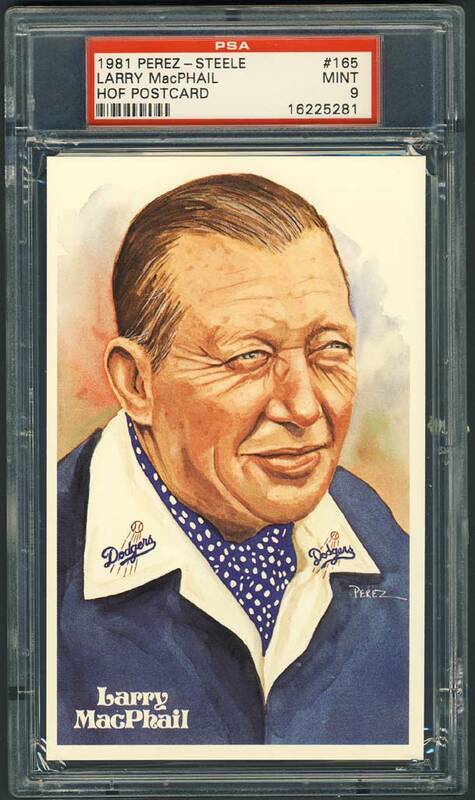 I was hoping the card would go the distance with no bids and then be listed at a lower opening bid. No luck. Somebody snagged it at the BIN price and the search continues. This may have been a mistake.